After the Great Recession, which cost millions of Americans their jobs, the U.S. labor market has begun to heal. So far this year the United States has added an average of nearly 230,000 jobs per month. In the 10 years through 2022, the BLS estimates that total employment will grow by more than 15 million jobs, or nearly 11%. However, the outlook for some occupations is bleak. For example, the number of fallers -- logging workers who cut down trees -- is expected to decline by 43% between 2012 and 2022, the most of any occupation. Based on Bureau of Labor Statistics (BLS) estimates and projections for more than 1,000 occupations for 2012 and 2022, 24/7 Wall St. identified America’s disappearing jobs. In many cases, these rapidly declining occupations are already quite rare. For instance, there were just 1,600 locomotive firers -- who are responsible for monitoring train tracks and engine instruments -- in the U.S. as of 2012. In all, five of the fastest declining occupations had fewer than 10,000 workers in 2012. Yet, in other instances, occupations that are expected to contract still employ a large number of Americans. There were more than 320,000 people employed as data entry and information processing workers in 2012. There also were nearly half a million postal service workers. The projected decline in postal service workers is especially significant. In all, the BLS forecasts that the number postal service jobs will fall by 139,000 between 2012 and 2022 -- or more than all of the other disappearing occupations put together. A number of factors are expected to contribute to this decline, including continued drops in mail volumes as well as the ongoing financial struggles of the U.S. Postal Service. The USPS has already cut tens of thousands of jobs since 2012, and it is currently slated to cut another 15,000 jobs next year. Increased automation, digitization, and technological innovation play a role in the decline of several of the fastest shrinking occupations. “We definitely think that technology and automation are a factor with some of these [jobs],” Martin Kohli, chief regional economist at the BLS, told 24/7 Wall St. The development of email has reduced mail volumes and, as a result, the need for postal service workers. Automated sorting systems have further reduced the need for human sorting. Similarly, motion picture projectionists have become less common as digital projection replaces traditional film rolls, Kohli said. International trade can also play a part in the decline of an occupation. Specifically, Kohli identified free trade and imports as factors impacting textile occupations. Trade, Kohli said, "reduces the demand for people to make shoes and textiles in this country, because imported shoes and cloth, often from Asia, cost relatively little." At the same time, he noted that this allows Americans to focus on other industries, such as high-level manufacturing and providing financial services. Semiconductor processors, too, have become less-common in the U.S., as many businesses have elected to outsource manufacturing work abroad and focus on design, marketing, and distribution. To determine the jobs with the greatest forecast percentage decline in employment, 24/7 Wall St. reviewed BLS Employment Projections program data for 2012 and 2022. Most of these occupations refer to a specific job. In a few cases -- postal service workers, data entry and information processing workers, and textile machine setters, operators, and tenders -- we used a broader classification to reflect that multiple jobs in the larger job category would be among the fastest shrinking. Where several occupations were similar in their description, such as textile machine workers and fabric and apparel patternmakers, we selected only one occupation. Employment figures from the BLS for 2012 represent estimates, while figures for 2022 represent forecasts. Median annual wage figures are for 2012. Further information on each occupation came from the BLS’ Occupational Outlook Handbook. These are America's Disappearing Jobs. Overall, the number of all metal and plastic machine workers is projected to decline by 6% between 2012 and 2022. The decline is expected to be greatest among drilling and boring machine workers, who operate and repair drilling machinery used in plastics and metals manufacturing. The number of such jobs is expected to decline by more than 22%. Foreign competition and especially technological advancement are expected to account for much of the job decline in metals and plastics manufacturing. As a result, workers in the field that can operate and program computer numerically-controlled (CNC) machines are expected to have the most job opportunities going forward. The number of animal breeders is expected to decline by more than 23% between 2012 and 2022. Breeders use their knowledge of animal genetics to help farmers breed more productive farm animals. As of 2012, more than three-quarters of all animal breeders were self-employed. The total number of people working as breeders is already quite low -- around 1,300 as of 2012. The BLS expects agricultural employment to decline in the coming years as a result of technological advancement. Textile machine workers can operate a range of equipment used in bleaching, dyeing, cutting, knitting, weaving, winding, twisting, and drawing out textiles. However, lower wages overseas have, in the past, contributed to a decline in textile manufacturing, after U.S. import quotas were repealed in the late 1990s and early 2000s. Jobs for textile, apparel, and furnishings workers are expected to drop by about 7% between 2012 and 2022. Much of this decline is expected to be among textile machine workers, which are projected to lose nearly 18,000 jobs, or 23.5%. Jobs in data entry and information processing include a number of functions. While some workers mostly type various documents, letters, and forms for an employer, others primarily handle entering and verifying data. The BLS expects the number of workers in such positions is expected to decline by nearly 25%, or over 80,000 workers, between 2012 and 2022. Yet, occupations that the BLS considers to be similar are expected to see notable increases, suggesting some of these workers may be able to switch jobs. The number of secretaries and administrative assistants is expected to rise by almost 500,000, or 12%, in that time. Motion picture projectionists operate projection and sound equipment. The number of such jobs is expected to drop by more than 26% between 2012 and 2022, largely due to the shift to digital projection. While the educational requirements for the job are limited -- being a projectionist does not require a high school diploma -- pay is also quite low. As of 2012, the median annual wage for a projectionist was just $19,830, versus a national median wage of $34,750 across all occupations. Semiconductor processors oversee the manufacturing process by cleaning silicon, monitoring machinery, and testing circuits to ensure they function correctly. Processors work in perfectly clean rooms while wearing lightweight attire called “bunny suits” in order to prevent dust particles from damaging semiconductors. The combination of automation and foreign manufacturing is expected to reduce the number of processors by more than one-fourth between 2012 and 2022. Today, a number of major U.S. companies such as Broadcom and Qualcomm are “fabless” chip makers, meaning they outsource manufacturing operations, often to other countries. The number of postal service workers in general is projected to drop by more than 28% from 2012 to 2022, with postal service clerks expected to experience the biggest percentage drop. According to the BLS, “automated sorting systems, cluster mailboxes, and tight budgets” are all expected to lead to lower postal worker employment. The U.S. Postal Service has struggled for years to repair its finances, and posted a net loss of nearly $5 billion last year amid a decline in mail volume that will likely continue. In response to these declines, the USPS cut hours worked by 2.3% in 2012, and by an additional 1.1% last year. 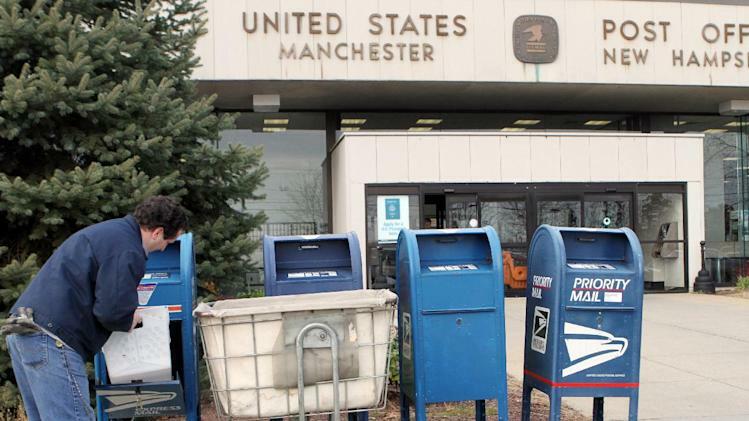 The USPS forecasts that it will run a multi-billion dollar loss in fiscal 2014. It has also announced plans to cut up to 15,000 jobs in 2015, an action that is being opposed by 50 U.S. senators. Jobs for shoe machine operators and tenders, who work to build shoes and shoe parts, are projected to drop by more than a third between 2012 and 2022. Yet, such jobs are already quite rare in the U.S., with only 3,500 people working in the field as of 2012. Today, many footwear makers outsource their manufacturing to foreign countries and companies. One such company headquartered in Hong Kong, Yue Yuen, employed roughly 413,000 people at the end of 2013. Major companies that outsource manufacturing to Yue Yuen include Nike, Adidas, and Puma. Locomotive firers are responsible for monitoring train tracks for debris, and they check various instruments in order to ensure that no problems are present with the trains' engines. The job is currently very rare, with less than 2,000 workers as of 2012 -- a number that is expected to drop far more in the coming decade. Already, many such jobs have become obsolete as automation has taken the place of people, with locomotive engineers and conductors filling most of these roles. A handful of companies -- BNSF, CSX, Norfolk Southern, and Union Pacific, as well as the national rail operator, Amtrak -- employ most railroad workers. Fallers are logging workers that cut down trees. According to the BLS, fallers face numerous job pressures that are projected to cut jobs by roughly 43%. Despite a focus on safety, jobs in logging are often dangerous due to the machinery used and the dangers of falling branches. According to the BLS, fallers face numerous job pressures, including increased mechanization, conservation efforts, and foreign competition, that are projected to cut jobs by roughly 43%. Logging workers are already something of a rare occupation. As of 2012, there were just under 44,000 logging workers in the U.S., of which roughly 6,600 were fallers. The number of logging workers, overall, is expected to decline by 8.7% from 2012 to 2022.